Home Blog Horse Racing: Should You Oppose the Favourite? Betting on horse racing is an extremely popular pastime and the sport is enjoyed by thousands of fans each and every week. There are several meetings taking place around the world with countries such as the USA, Australia and the UK hosting daily cards at various venues allowing plenty of betting opportunities. Bookmakers tend to chalk up one horse as the favourite but the market can sometimes fluctuate wildly during the build-up. This is generally caused by the popularity of the horse in question, with the weight of money often shortening the price and offering far less value for punters. Favourites will be installed at the top of the market for a variety of reasons with previous records, trainer form and quality of opposition all considered major factors. A number of these horses will justify their short-prices but there is definitely a case to oppose the favourites in competitive looking claimers and low-level maidens which often contain a handful of newcomers. Some theories suggest that backing the favourite in any given race is a profitable way to wager but it isn’t an ideal long-term strategy and carefully selecting alternative horses seems like a sensible approach to take. Favourites win around 33% of the time, which leaves plenty of scope to look elsewhere. These statistics include favourites who start the race at an odds-on price and backing these fancied horses isn’t going to get you rich quick. Around 55% of favourites tend to place which is why they are always popular in exacta and trifecta bets. Some tracks are better than others for value hunters with the likes of Golden Gate Fields and Tampa Bay having the tendency to throw up some big-price winners. There are plenty of opportunities to have a wager on US racing throughout the season with tracks such as Mountaineer and Charles Town staging over 4,000 races between them each year. The likes of Philadelphia Parx, Penn National and Gulfstream Park are not far behind. 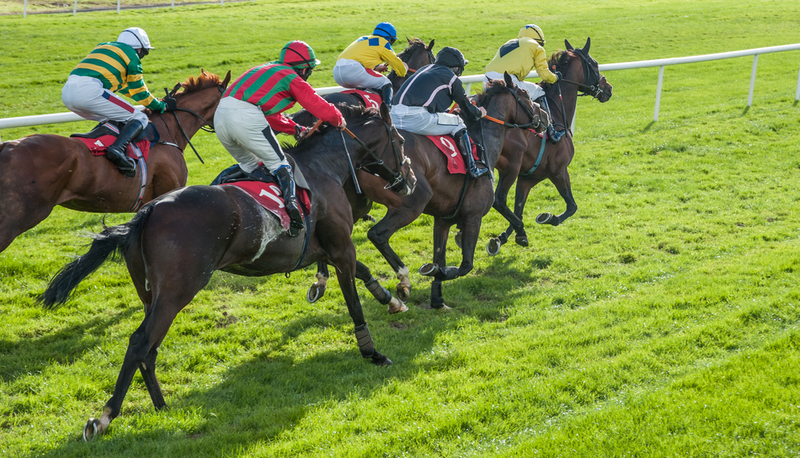 Markets are priced up at the start of the day and most US venues are now available on sites such as Betfair, 888sport and bet365 and those who are new to the sport can get started with these free bets, which offer the perfect opportunity to begin wagering at popular tracks such as Saratoga and Aqueduct. Small fields play a significant part in favourites winning a race. A number of low-profile meetings, usually staged on a weekday can often produce a number of winning favourites by virtue of having races which contain just five or six runners. Whilst many of these contests can appear one-sided, if you search around, it is possible to find races which aren’t clear-cut and contain a number of fancied runners. If you are looking to oppose the favourite, it’s ideal to have between eight and 14 runners in the field, which provides plenty of competition to the market leader. Surprises do occur in six-runner affairs but bigger fields are likely to provide stiffer competition for the favourite. This allows punters the possibility of selecting two or three horses in the race at prices such as 8/1 and 10/1 and profit will be made if they run into the places. The final maiden on the Gulfstream Park card provides one the best opportunities to select a bigger-price winner. This is a contest which contains a number of horses desperately seeking their first win at a racetrack and this is exactly the kind of event which appeals to punters who are hoping to avoid the favourite. These fields can often contain upwards of 11 runners and with a number of horses having their first-ever outing, favourites can often fail to live up to expectations. Some maiden runners arrive with plenty of hype, whilst others will quietly go about their business. Trainers such as Bob Baffert and Jerry Hollendorfer have decent records with first-time starters but they can sometimes trade off reputation. Some handlers simply have the knack of getting their horses ready at the first time of asking but they are often very popular in the market and that leaves plenty of value elsewhere. Services such as the Daily Racing Form will provide statistics on a trainers record with first-timers and that can be a great way of finding an angle into these competitive and often-unpredictable maidens. Smaller operations such as David Fawkes and Ralph Nicks also have a good record with their first-time starters, with the former operating at 17% strike rate in 2018 and these are trainers to keep an eye on in these events. If the favourite has had ten attempts at winning but failed on each occasion, it’s advised to look elsewhere and first-timers from these stables may prove to be better bets. On most racecards, there are at least three maiden contests and this gives plenty of scope to seek out underrated stables who may send out a debutant in a bid to upset a potentially vulnerable market leader. Finally, some horses simply plateau and find their level. Racing can throw up a variety of events and it is not uncommon to find a competitive-looking low-level claimer which has a field of eight runners. Many of these events are full of experienced horses who have found their level and only win once in a blue moon. For example, a filly may have won just two races in 45 outing yet has been installed as the favourite. These are the kind of races in which it is advised to oppose this infrequent winner and opt for a horse with greater potential. Betting on horse racing is far from easy but it can be hugely rewarding. It’s advised to assess the type of event before placing a wager and ensure that statistics back up your justification for opposing a favourite. Some of them will come home in front but many of them will fail to justify their short price and knowing when to oppose the fancied runner and look elsewhere is absolutely imperative to a successful and profitable experience.